Oceania is a geographic region comprising Melanesia, Polynesia, Micronesia, and Australasia. 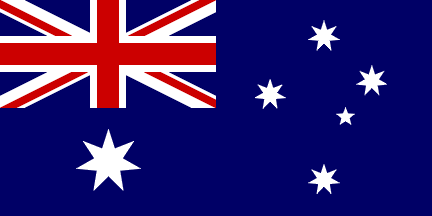 It is often denoted as a continent and consists of Australia and nearby islands. Some of the islands of Oceania depend mainly on primary sectors of fishing, mining, and agriculture. Farming, fishing, tourism, and mining are also some aspects of the rise in Oceania’s economy. If you are looking to reach the right people at the right businesses, look no further, make use of our Oceania business email list and easily connect with Oceania based companies & businesses. Achieve impressive rate of conversion for every email sent using our database. We make no excuses pertaining to quality of each contact. The Oceania business email list is a complete package to fulfill your marketing goals. Our framework is based on a strict ethics that ensure you gain maximum benefits without compromising the reputation. Because, we do not let inaccurate data downplay your efforts. Make your brand the face of client’s first preference and make them repeat customers. Customize your list by choosing from 50+ selects to launch tailored B2B marketing communications. Get conversation started at ease by choosing African Business Executives List from InfoClutch. Our responsive database features variety of profitable data such as job title, SIC code, NAIC code, income, and other details that makes it easier for you to reach Oceania Business executives.